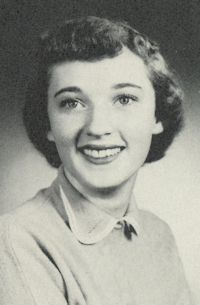 Obituary – Edwards, Janice Marie (Osborne) « Perry High School Alumni Association, Inc.
Sophomore Assembly 53-54, Pep Club 53-54, Student Council 53-54, Home Room Secretary 55-56, Home Room Treasurer 55-56, Junior Play 54-55. 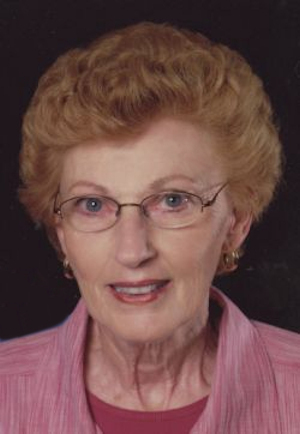 Janice Marie Edwards, 78, of Perry passed away in the Perry Hospital on August 10, 2017 following an extended illness. Janice was born in Red Rock, OK to Jesse and Elsie (Reed) Osborne and lived most of her life in Perry. She married David Gwin Edwards in 1956 and worked for various businesses around Perry retiring from the Perry Elementary School where she served for 20 years. Janice was member of the First Baptist Church of Perry for many years she taught the Second-Grade Sunday School class and worked in the nursery. She was always willing to lend a hand wherever she was needed. She is preceded in death by her parents, Jesse and Elsie Osborne and husband, David. Survivors include her children, Jeff and spouse Sandra Edwards, Joel Edwards and Jill Hansen and spouse, Kevin all of Perry. Three grandchildren; Jesse T. Edwards, Jayde Hansen and Alexis Edwards all of Stillwater. One sister; Marilyn and spouse, Jack Ewy; a sister-in-law, Dorris Edwards both of Perry. And a host of nieces and nephews. Graveside services for Ms. Edwards will be Monday, August 14, 2017, 10:00 am at the Pavilion in Grace Hill Cemetery of Perry. Friends may call at the Brown-Dugger Funeral Home of Perry on Sunday, August 13, 2017 from Noon until 8:00 pm with the family receiving friends from 5:00 pm until 7:00 pm. For those desiring, contributions may be made to the First Baptist Church of Perry in care of Brown-Dugger Funeral Home, 1010 N. 7th Street, Perry Ok 73077.